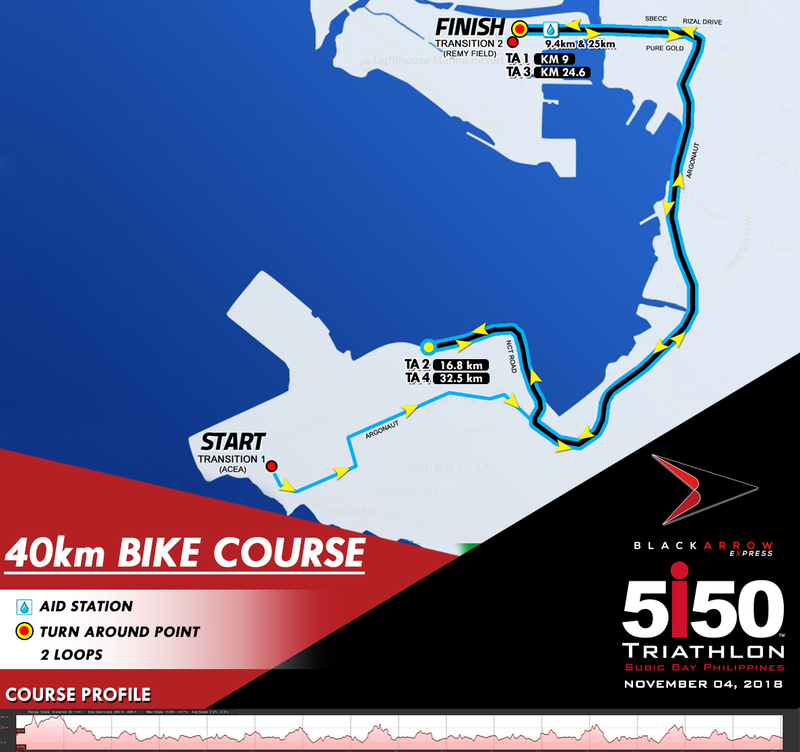 The Black Arrow Express 5150 10 KM run will have a two 5km loop. 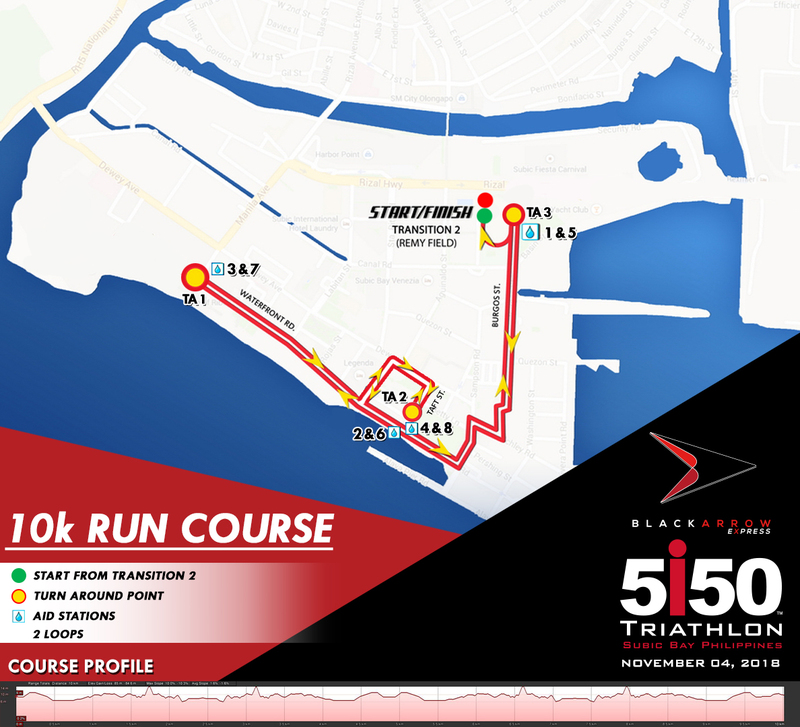 Participants will exit Burgos Street then turn right and head to the Waterfront Road, then make a turnaround just before Manila Avenue. Participants will then take a left in Lincoln Street, then right to Dewey Avenue and then right at Taft Street then making a Turn around and head back to Waterfront Road. Participants will head back to Burgos Street and make another turn around just before Remy field to begin their second loop. Participants will complete the turnaround in Manila Avenue and Taft street before, they head back and enter the finish line in Remy Field. Swim Cut-Off Time is 60 minutes after the final Age Group Participant crosses the start line timing mat to begin the swim. 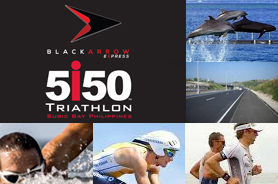 No competitor will be allowed to bike if they do not reach the swim exit by the cut-off time. This includes relay teams. Bike Cut-Off time is 3 hours and 30 minutes after the final Age Group Participant crosses the start line timing mat to begin the swim. No participant will be allowed to begin the run if they do not enter transition 2 before the cut-off time. This includes relay teams. 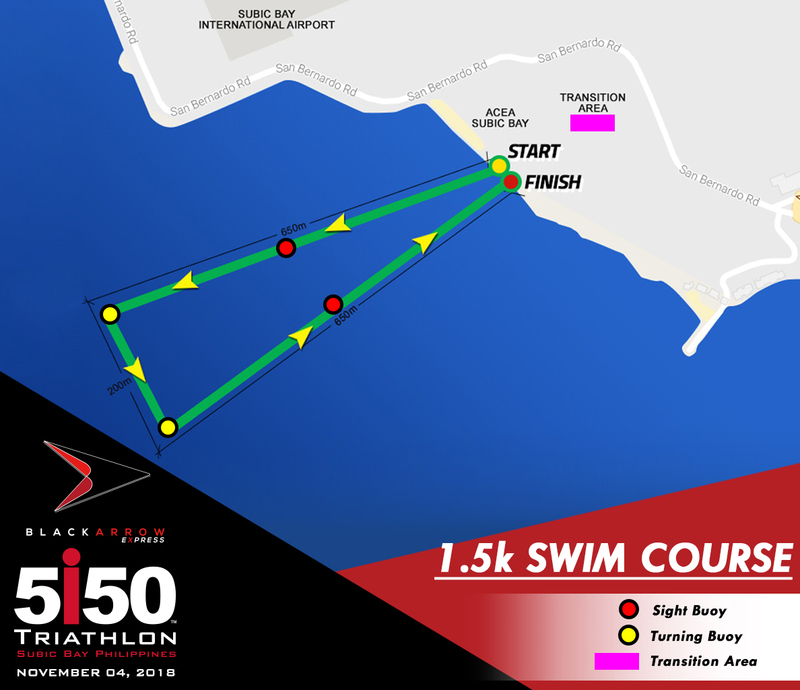 Finish Cut-Off time is 5 hours and 30 minutes after the final Age Group Participant crosses the start line timing mat to begin the swim.